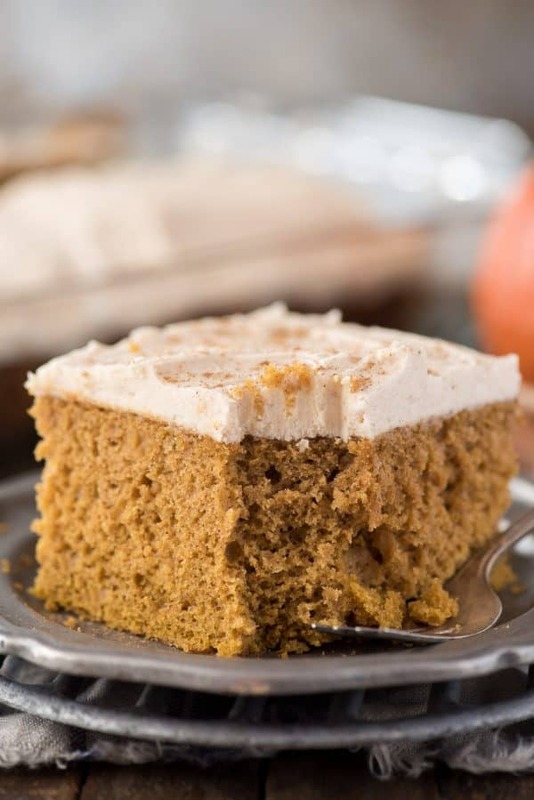 Take a spice cake mix and turn it into a doctored up pumpkin cake! 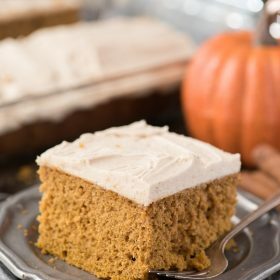 With directions for how to make doctored up pumpkin cake or cupcakes, this is our family’s new favorite pumpkin cake! You buddies of mine LOVE doctored up cake mix recipes. 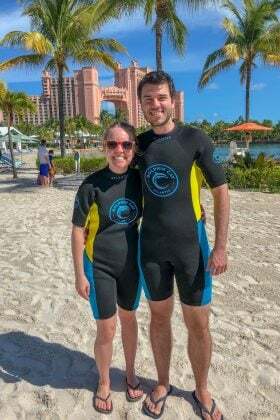 It’s like a match made in heaven because I like them too. They are easy to zhoosh up. Side note: I just spent 10 minute trying to figure out how to spell zhoosh. Or is it zhuzh? ???? When I did my most recent doctored up cake flavor poll, so many of you guys suggested pumpkin. Oh yeah ???? Oh yeah ???? It’s here! There was a whole debacle (pretty much in my head) about if I should use yellow cake mix or spice cake mix as the base. I tried both. 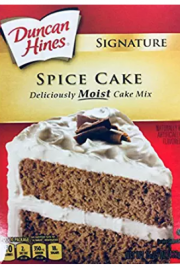 The one using the yellow cake mix was good, but not quite as fall-y or pumpkin spiced as the spice cake mix one. 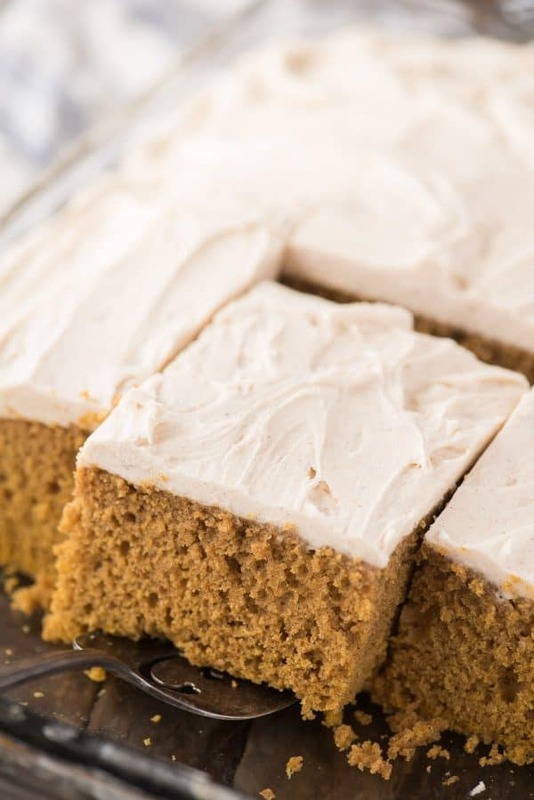 Hands down go with the spice cake mix if you can! 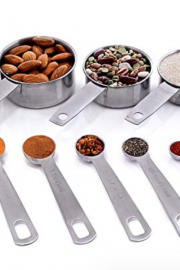 You’ll notice that my recipe calls for additional spices (cinnamon and nutmeg). 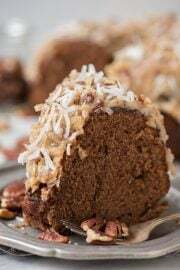 Why might be thinking, isn’t the spice cake mix spiced enough? NOPE! Trust me, add the extra spices and you’ll be pleasantly surprised. But the basic question is why are we adding all this stuff to the cake mix? We’re performing some baking magic so that the box cake mix tastes more homemade! 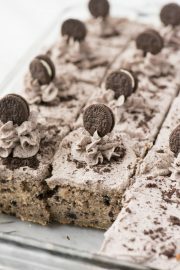 Plus, adding these additional ingredients will result in a larger cake. Sometimes people call doctored up cake mix recipes “cake mix extenders” because you’ll have more batter which = more cake or more cupcakes. We also add in ingredients for moistness because fluffy, moist cakes are the best! We even tested this recipe as cupcakes ???????? This recipe will yield at least 24 cupcakes. Probably even 30 if you only fill the muffin liners 1/2 full. The bake time for the cupcakes is 16-18 minutes. 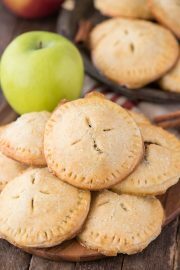 Preheat the oven to 350º F. Spray a 9x13 inch cake pan with non-stick cooking spray OR for cupcakes line 2 muffin pans with 24 liners. 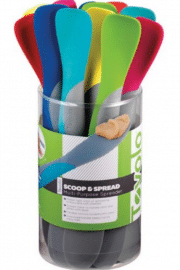 In a large mixing bowl combine the eggs, vegetable oil, milk and pumpkin puree. Beat lightly with an electric mixer. Add in the flour, sugar, cinnamon, nutmeg and spice cake mix. Mix with an electric mixer on low until combined. 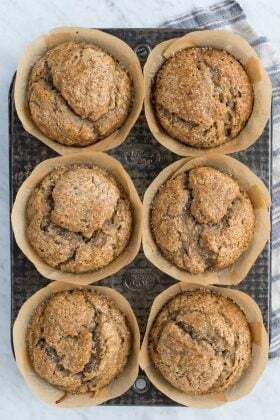 Pour the batter into the prepared cake pan or scoop into the muffin liners, filling 1/2 to 3/4 full. Bake a 9x13 inch cake for 36-38 minutes or the cupcakes for 16-18 minutes, until a toothpick comes out clean. Allow the cake to cool completely before adding the buttercream. 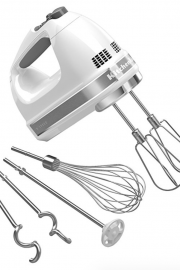 In a mixing bowl beat the softened butter using an electric mixer for 1-2 minutes. Add in the powdered sugar (2 cups at a time) and the cinnamon & nutmeg, mixing by hand or on low. 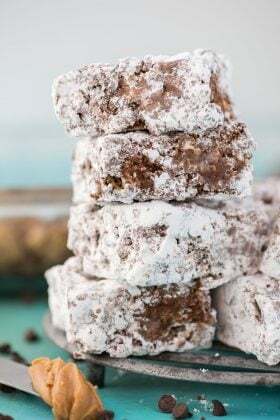 Continue to beat in the powdered sugar until the frosting is smooth and tastes good to you! Place the buttercream in a piping bag fit with your desired tip (I used a wilton 1M). Push the buttercream down into the bag and twist the top a few times to secure the bag closed. Pipe the frosting onto the cupcakes in a circular, swirl pattern. Store in an air tight container for up to 2 days. 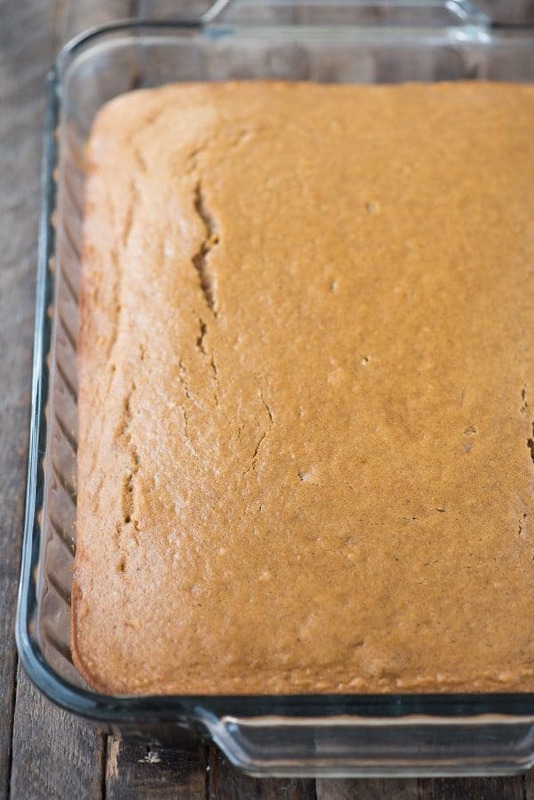 Bake 9 x 13 inch pumpkin cake for 36-38 minutes or bake the cupcakes for 16-18 minutes. 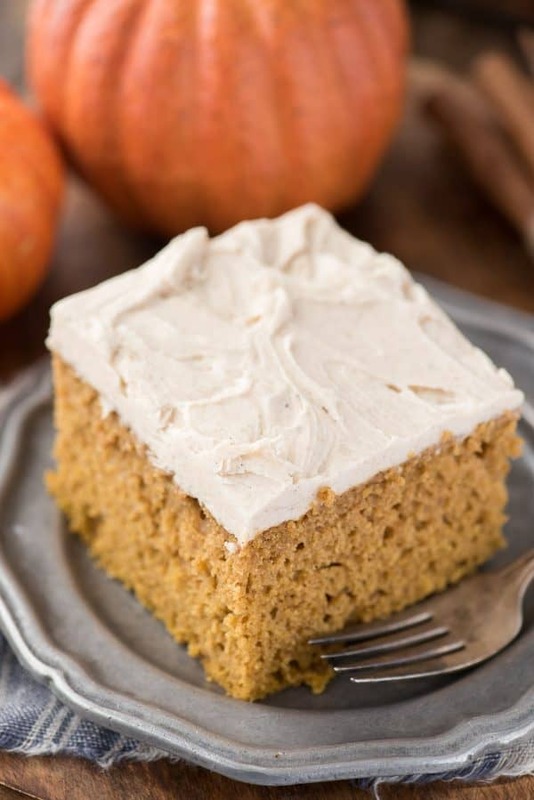 How would you make the doctored up spice cake without pumpkin? 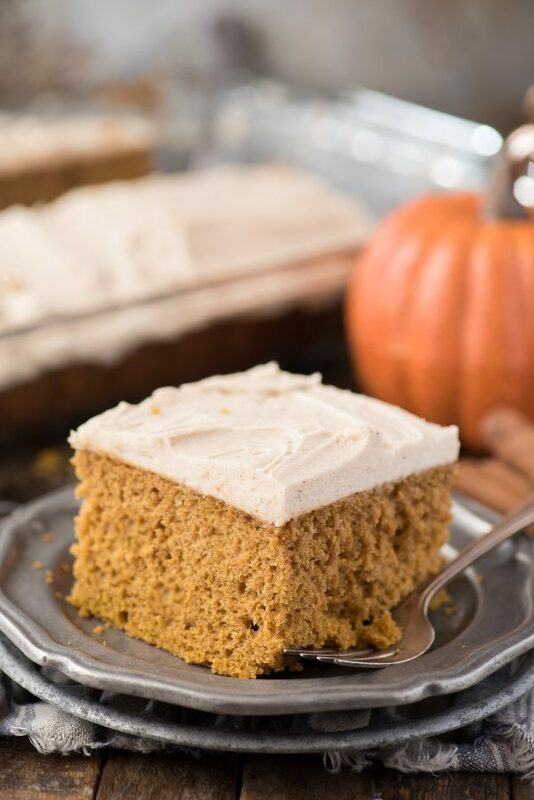 Spice cake is my husband’s favorite, but he’s not a pumpkin fan. What! ?